Associate Professor of Physics, Auburn University, 9/98 to 9/03. Sabbatical at AMOLF FOM Institute for Atomic and Molecular Physics, Amsterdam, The Netherlands, 6/98-6/99. Assistant Professor of Physics, Auburn University, 9/93 to 9/98. Postdoctoral Fellow, Joint Institute for Laboratory Astrophysics, 12/90 to 8/93. Graduate Research Assistant, University of Chicago, 5/86 to 12/90. Eugene J. Clothiaux Faculty Teaching Award, Auburn University College of Science and Mathematics, 2012. Dean's Faculty Research Award, Auburn University College of Science and Mathematics, 2011. Outstanding Referee, American Physical Society, 2008. Alumni Professor, Auburn University, 2004-9. Fellow of the American Physical Society, 2001. National Science Foundation Young Investigator, 1994-9. Harper Fellowship from University of Chicago, 1990. 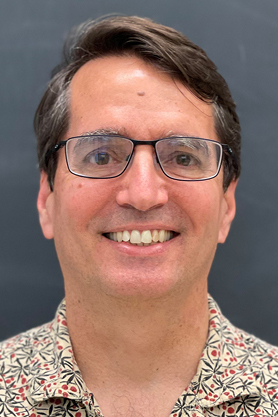 Prof. Robicheaux is an atomic theorist mainly focusing on time dependent atomic phenomena, highly excited (Rydberg) atoms, electron scattering, strong fields, ultracold plasmas, and levitated nanoparticles. He is a member of the ALPHA collaboration which was the first group to trap the antimatter version of the hydrogen atom and was the first group to perform experiments on anti-hydrogen. The research has a strong computational component so that the majority of results contain comparisons with past and predictions of future experimental results.